HEN DO IDEAS > GUIDES > WHY CHOOSE LIVERPOOL FOR YOUR HEN PARTY? Why Choose Liverpool for Your Hen Party? The homeland of Scouse brows, strawberry fields and massive hair in rollers is a hen do haven. 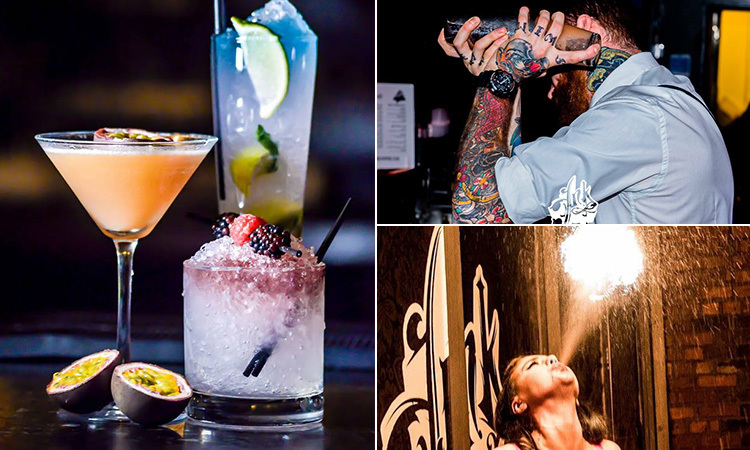 Whether you’re singing along to your favourite live music, or swigging cocktails in one of Liverpool’s biggest clubs – this city ticks all of your hen party boxes. Scousers famously love a drink and a laugh in a swanky watering hole and we don’t blame you for joining them on your hen weekend. Broken up into different nightlife areas with distinctly varying vibes, this city is out to impress. You’ve got Concert Square, with its cluster of streets paved with heaps of fabulous bars and clubs – including Revolution and superclub Fusion, and the student-heavy Hardman Street, boasting purse-friendly Happy Hour offers and an electric atmosphere every night of the week. Liverpool is a retail therapy paradise. From High Street, to high-end, there is no finer shopper’s paradise than Liverpool ONE. With 42 acres (170,000 m²) housing over 160 stores, an ODEON cinema and a massive adventure golf, as well as John Lewis and Debenhams as the cornerstones of the complex – this is an unparalleled haunt to splash the hen party kitty. As the hometown of The Beatles, Atomic Kitten and the Sugababes, Liverpool’s music scene has always produced world-class artists and bands. 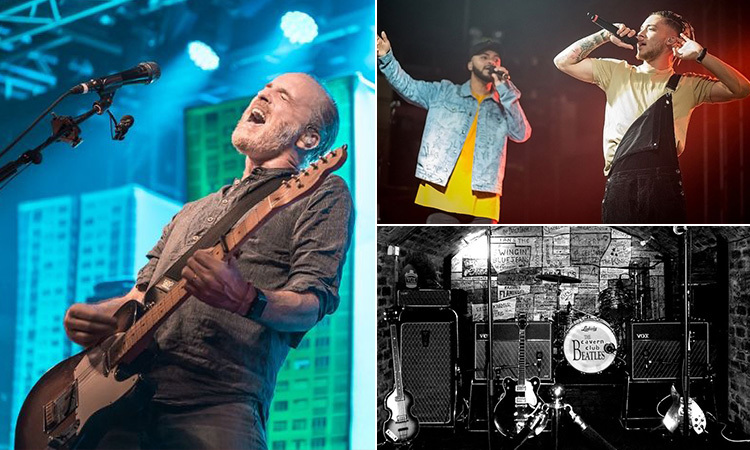 This city boasts smaller, more intimate venues like Cavern Club with its 1960s memorabilia, hosting live tribute acts, to the stylish, 11,000 capacity music, comedy and sport arena, to the O2 Academy with its two massive auditoriums – Liverpool is alive with music 24/7. With such a huge range of activities on offer, it’s no surprise that we get more and more enquiries about hen parties in Liverpool each year. We offer some of the most sumptuous spa days and dance classes, as well as more ‘out of the box’ hen party activities – such as the ever popular Mersey Games , murder mystery nights and even a fast-paced Pontcysyllte Aqueduct kayak tour. We even have entry into Haydock Park Racecourse, where you can dress up in your finery, and top up the hen party kitty with your (potential) winnings. You can pretend your hen party is going to be a cultured, civilised weekend all you like, but we know the truth. Hen parties are about semi-naked men in their droves. And, luckily for you, Liverpool is the city to deliver just that. If the rippling abs and chiselled cheekbones of the Dreamboys and Pleasure Ladies don’t quite do it for you, the Naked Chocolatier Party certainly will. We offer a fabulous range of accommodation types in Liverpool - including luxurious 4-star hotels and quirky apartments in the centre of town. There’s something to suit every hen party in lively Liverpool. 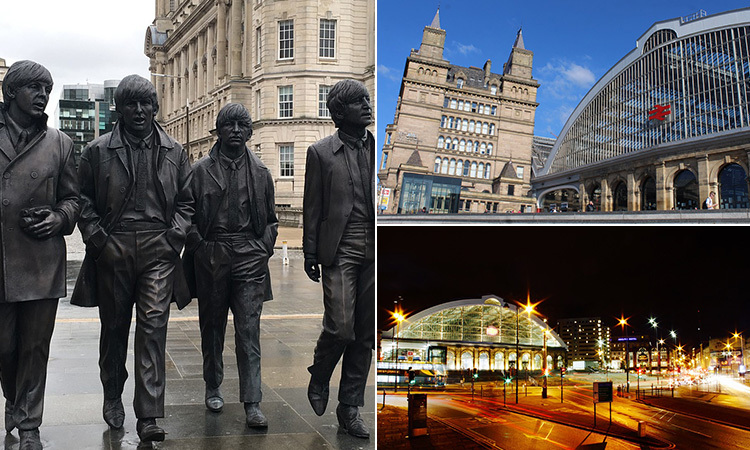 Liverpool boasts two large train stations, as well as the Liverpool John Lennon Airport - getting to the Scouse capital is a breeze. Once you’re there, getting around the city couldn’t be simpler - as the region prides itself on an excellent transport network. The compact city centre is also totally walkable, and even bikeable (that’s if you’re feeling up for it after a night on the cocktails), but there are buses and taxis all over the city, too. Alright der laa, calm down, calm down – we’ll sort out your bespoke Liverpool hen party package before you can get those heated rollers out. > Why Choose Liverpool for Your Hen Party?